يضمن فندق Central Hotel Hobart الذي رمم في 2006 لزائريه قضاء وقت ممتع في هذه المدينة الخلابة سواء جاؤوا في رحلة عمل أو سياحة. يسهل الوصول إلى هذا الفندق ذو 3.5 نجوم من المطار، فهو يبعد عنه مسافة 20 km فقط. يشكل هذا الفندق ملاذاَ مريحاً للاسترخاء ويمنح زواره فرصة للاستجمام والتجدد، وهو يقع على بعد خطوات من المعالم السياحية الكثيرة للمدينة. استمتع بالخدمات الراقية والضيافة التي لا مثيل لها بهذا الفندق في هذه المدينة رائعة الجمال. يقدم الفندق واي فاي مجاني في جميع الغرف, خدمة التنظيف يوميًا, كازينو, تخزين الأمتعة, واي فاي في المناطق العامة لضمان الراحة القصوى لضيوفه. تعكس غرف الفندق البالغ عددها 11 المنتشرة في 1 طوابق جواً من الدفء والألفة.خدمات عصرية مثل تلفزيون بشاشة مسطحة, بياضات, مناشف, اتصال لاسلكي بشبكة الإنترنت (مجاني), غرف لغير المدخنين موجودة في بعض الغرف المختارة. كما أن مجموعة الخدمات الواسعة الموجودة في الفندق لضمان راحتك تترك لك الكثير من الخيارات لقضاء وقتك أثناء فترة إقامتك. اكتشف مزيجاً ساحراً من الخدمة الاحترافية والخيارات الواسعة من وسائل الراحة والمتعة في Central Hotel Hobart. يتوفر مكان لانتظار السيارات خارج الموقع. Very central to everything. Hearty cooked breakfast in the morning.The best in the town. 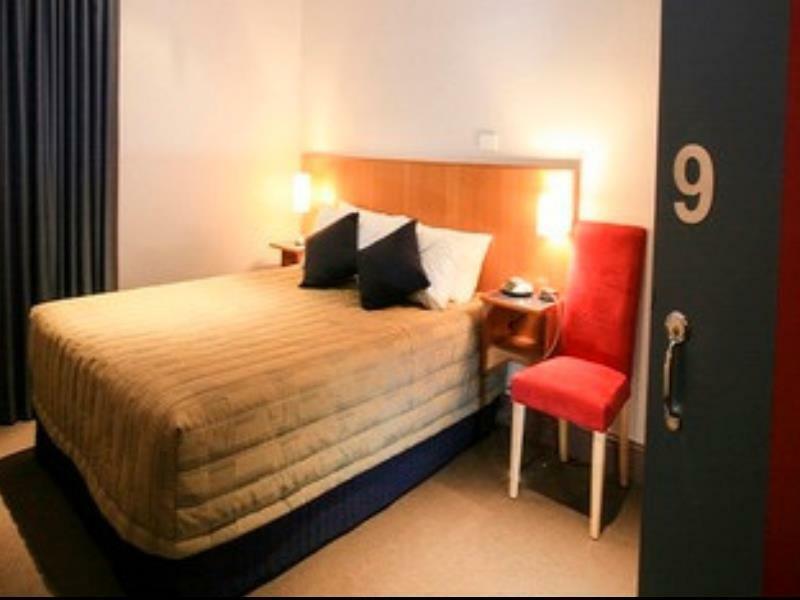 Great location as the hotel is near the city centre and Hobart International Airport. There is no parking in the building; thankfully we were there on a Sunday, and there was free parking along the road. Check-in and check-out were fuss-free. The room is small but clean. The shower cubicle is really small. There was complimentary breakfast at the cafe downstairs, where you get to choose from a menu. The food was awesome!!! Jolynn. We are glad you enjoyed your complimentary breakfast. Thank you for taking time to review your stay with us and we hope to see you on your next trip to Hobart. Room is clean and big. Breakfast was good. Location is good. This place was truly central. Easy walking to the piers, various bus stops, Salamanca, and next to the pedestrian mall. The staff were very approachable and helpful, and the room was very comfortable and spacious with a fabulous bathroom. I had breakfast included in my deal - it was as much or as little as you wanted. Highly recommended and very good value. This hotel is perfect to me because it's clean and tidy. The location is very good which takes you only five minutes to walk to the Woolworth and ten minutes to walk to harbour. It is quiet enough even if they have a bar downstairs (by the way the beer in the bar is pretty nice, personally I recommend their local beer). The price is also very nice including breakfast. The room was fine. Although the HCCB's a pub, they don't do food in the evenings and everything nearby seemed to shut at 5pm. I eventually found a Subway, a kebab joint (on the point of closing) and a Thirsty Camel (the pub's own was closed). Of the cities I visited in Australia, Hobart reminded me most of England: grey, windy, empty streets after 5pm. Also the huge bar was almost empty of customers in the evening. The staff told me it was because people were in Salamanca celebrating St. Patrick's day, but there wasn't much going on there either. Nice room, just not convinced about Hobart. Clean rooms, friendly staff and walking distance to almost everything. The were only a few rooms in the hotel, which were located above a bar, but there was no problem with noise. The room was small, but reasonably modern and very clean. The included breakfast is something worth waking up for. The room with en-suite bathroom was clean and spacious, given that we had three big luggage in it. Location was convenient and the supermarket was within short walking distance. Breakfast was included and we got quite a few choices to choose from. It was a pleasant place to stay for two nights. The room was clean with a decent en-suite bathroom. Staff were friendly and helped carry the luggage upstairs. Breakfast was nice though it took a bit waiting time. 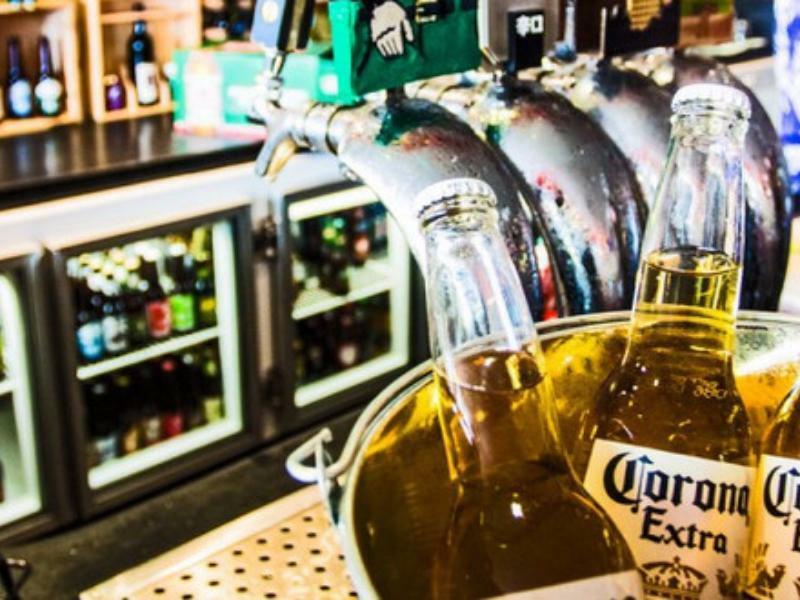 The location was convenient, situated near the airport shuttle bus stop and Elizabeth street mall. Got some nice and quiet sleep at night during my stays. The stay at the Central Hotel was extremely enjoyable. 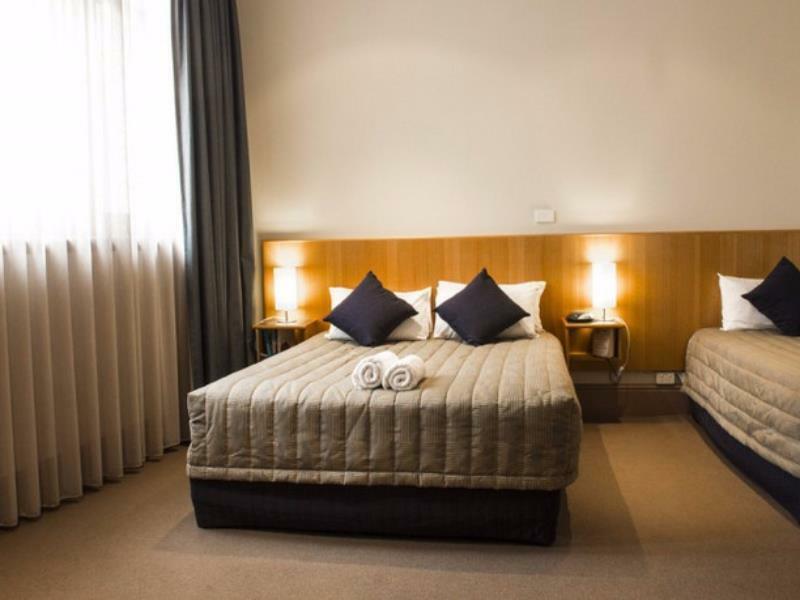 The hotel is not 5 star but the rooms are very adequate, they are clean and comfortable. The staff and breakfast (included in the price) make up for any shortcomings that you may encounter. Good size clean room. Helpful staff. Nice breakfasts with lots of choice. The only negative was noise from the street outside especially on the Saturday night. I suspect this would affect rooms 3, 4, and 5 the most. The hotel is centrally located. It is near the shopping area and also 5-10mins walk to Salamanca Place. Access to the airport is easy via a long line of taxis waiting outside the hotel. Cleanliness can be improved though as housekeeping did not clear the waste paper basket although it was half full. Breakfast is simple and ok.
Hi, For the price I paid I am sure this was the best option. Location is very good, rooms are comfortable and clean. Downstairs is a Pub where they serve the breakfast in the morning. There are some drunk people coming back to their rooms in the evening laughing and making noise. But it is not the hotel's fault. Staff are great. Cassie is a hard worker giving back a smile any request. 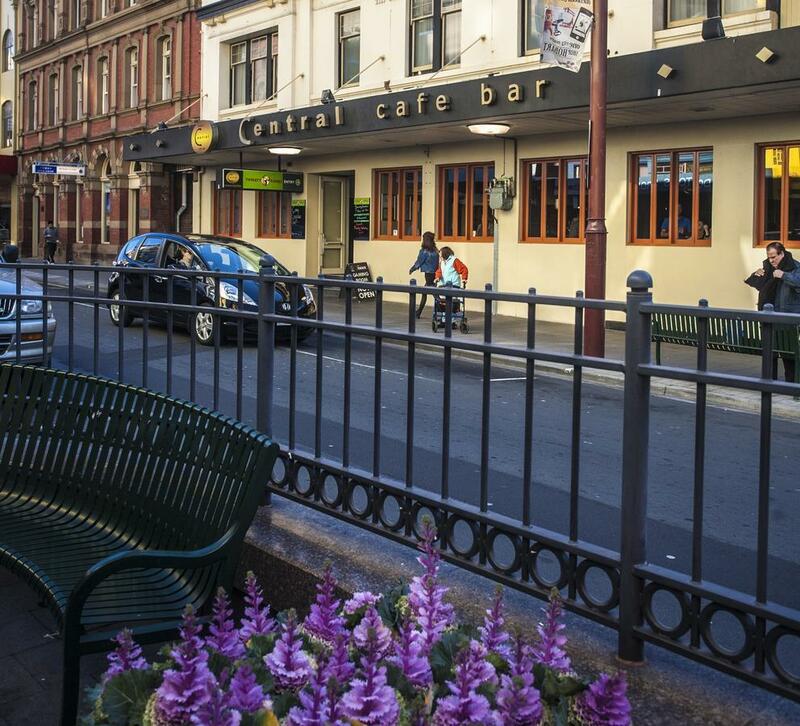 We had a great stay at Hotel Central Cafe Bar. Room was great - clean and very spacious. Staff were friendly and helpful, breakfast was excellent. Good location in city centre, close to airport shuttle bus stop, convenient for sightseeing and restaurants. Hotel is located over slightly seedy looking pub, but there were no noise or security issues whatsoever. Can't fault this hotel. We were really surprised with what we got for the price until going to bed to find that the single bed had been made but sheets not changed. An oversight we are sure as the room was clean and the main bed was freshly made. When i went down to the bar to complain at about 10.30pm, the lovely barman offered to change it immediately. The stay was pretty good overall. The room was pretty small and nothing special, but it was clean and comfortable. Free breakfast is pretty good, but is served in the pub. There will be old guys drinking beer while you're having breakfast, if that sort of thing bothers you. It was a good room - comfortable, modern. It was above a bar so we did expect some noise, but it was far less than anticipated and didn't interrupt our sleep at all. The location was excellent, meaning you could walk everywhere. It should be noted that the hotel doesn't have parking, but we did manage to park our car overnight on the street, and just moved it before the parking rules kicked in at 9am. There are car parks nearby. Good central location; very friendly staff; good value for money. We had a very pleasant stay. The staff were extremely friendly & helpful e.g. The restaurant didn't stock gluten free bread but got some in for our stay at no extra cost. The location is excellent as it allows easy access to Salamanca Place, Constitution Dock & other tourist sites & most of the good restaurants. There is no on-site parking but there are 2 public car parks within a few minutes walk.